Join Nichele McDonald and Neely Hufnagel at the Bodhi Tree Luxury resort settles into the tree-tops of Nosara overlooking the Pacific Ocean and near the world class surfing beaches of Guiones, for a week of Yoga, Pilates, Adventure and Relaxation. Neely, a Calgary Native is the founder/owner of Pilates on 3rd in Jacksonville Beach, FL. With a lifelong background in fitness she discovered Pilates in 2004. She built her studio in 2011 with the goal to get everyone loving Pilates! “Pilates is a form of exercise that impacts the mind, body, and spirit and I truly believe all my clients walk away from a class at my studio feeling stronger, empowered, and more centered. I love to create an environment that allows my clients to push their limits while paying meticulous attention to form and the mind-body connection.” Neely is trained and certified on all Pilates Apparatuses. And with her experience in athletics and fitness, she has created a method that incorporates core focused Pilates exercises with cardio and resistance training so clients feel pushed, motivated, inspired and capable. Nichele is known for her athletic Vinyasa flow style yoga that focuses on building strength and core stability. Her extensive background in fitness, gymnastics and dance comes through in her playful and creative sequencing. Her classes are upbeat and she strives to help her students relax, let go and stay positive on and off the mat. Arm balances and inversions give new perspectives and confidence that can travel off of the mat and into our daily lives. These postures can seem intimidating, but that’s why connecting to them feels so good. Part of learning to do these awesome poses is trusting yourself and embracing that edge. In this workshop, we will help you to find that point of lift off and balance through safe and playful collaboration. We’ll flow to build heat, focusing on the arms as our foundation, the core as the stabilizer and use flexibility to deepen into the poses. This will be the passageway to explore an array of arm balance and inversion variations. We’ll break down the more intricate asanas and work with partners and props for safety and fun. This is a prime opportunity to receive focused assistance from the teacher that you may not get in a typical class. We’re here to help you kick your feet up for a while and lose the fear of the unknown. Paddling out: Surfers often suffer from lower back and shoulder injuries due to constant paddling and lying in the prone position. By teaching how to achieve neutral spine while laying prone, surfers will engage the lats and lower medial traps more efficiently and in turn reduce low back stress. Paddling out can also be exhausting so we focus on exercises that help the shoulder and back muscles work together so the body is more efficient. We will incorporate Pilates movements that target the deltoids, rhomboids, latissimus dorsi, pecs and all the major core muscles and that can strengthen and lengthen the muscles simultaneously. Breathing: Cardiovascular endurance and breath control are extremely important for surfing therefore; the lungs need to be exercised just like any other muscle. We will implement breath control exercises in the workshop. Pilates is about the mind body connection and control of the breath with movement. Balance: Balance the final building block to a strong surfing foundation. In this workshop, we will challenge your balance as you strengthen your upper body. Control: We will focus on control where your body works simultaneously in both concentric and eccentric contractions of the muscles allowing one to control movement and breathe. Mind body connection is essential in both Pilates and Surfing! Liberia is the closest International Airport, 21/2-hour drive to Nosara. 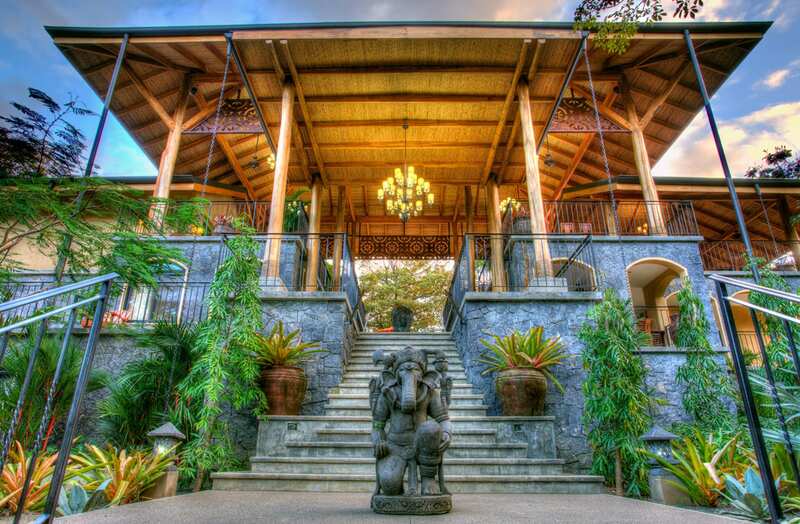 Bodhi Tree Yoga Resort can help you rearrange airport transfers. 1 to 4 people = $150 one way. 5 or more people = $40 per person one way. Charged separately by hotel to each guests account.